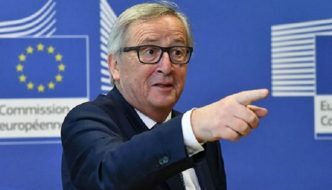 It appears that Europe has wakened to it’s false hopes of a fairytale end to it’s embrace of migrants from the middle east war zone entering the more affluent European countries. A force of ten thousand is suggested as a stop-gap border patrol. Hungary, insists it will not be a country of migrants in no uncertain terms. It is also assuming a stance of independence from the influence of the EU. 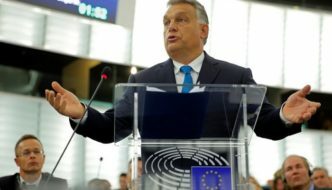 Sanctions are being considered by the EU to coerce Hungary into knuckeling under to their migrant policies. This entry was posted in History and tagged border security, EU, migration by jackhammerjohn. Bookmark the permalink.